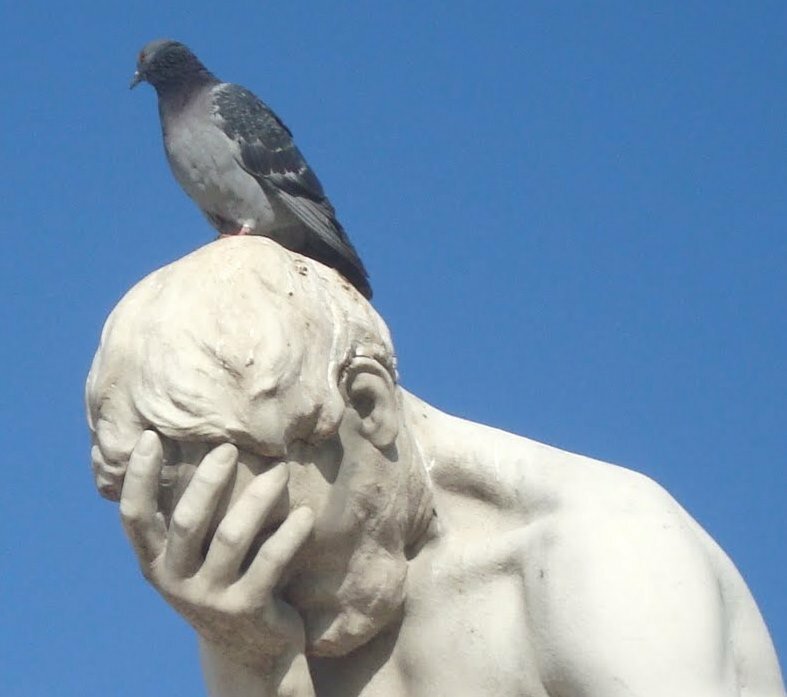 There are many days—in fact too many days—where I feel like I’m the statue rather than the pigeon. I don’t know why it’s like that and frankly I don’t care. Okay, that’s not true. I definitely would like to know why. But, I don’t dwell on it. Okay, that’s not true either. I actually spend a good deal of time analyzing, questioning, evaluating and considering my life and life in general. To be honest, my life isn’t all curve balls. There are many good things that I love and enjoy and that I wouldn’t trade for anything. My bank account may not have a lot of commas, but money was never a motivator for me. Sure, everyone needs money. But, how much and at what expense? Now that I have that out of the way for now…every so often something happens that makes me feel like the pigeon. 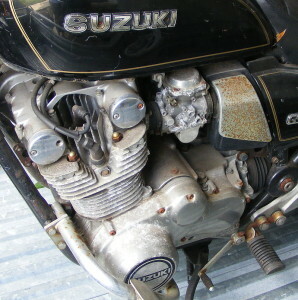 Enter a 1981 Suzuki GS850L. The other day while working on the ZN in the garage, I was handed the phone. My brother was on the other end. He had something to offer me for free. 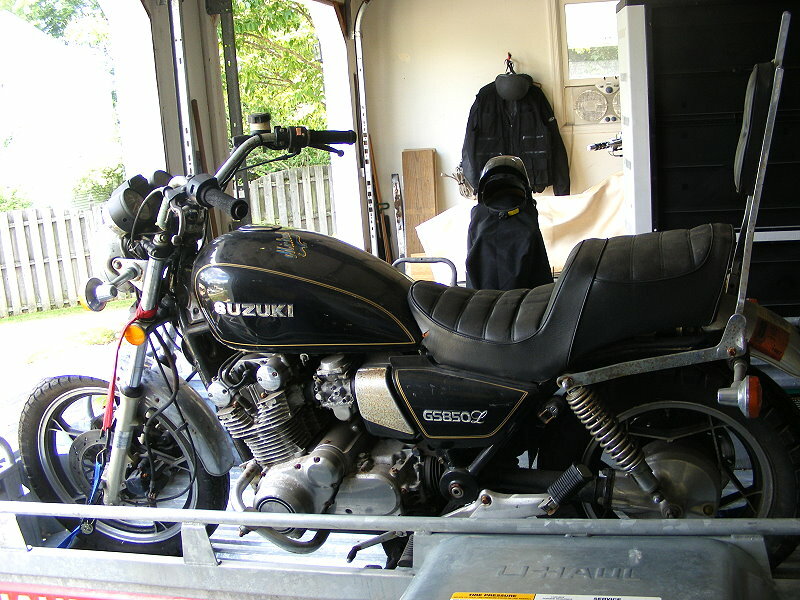 As it turned out, a guy he knew from the local tap room has had a motorcycle sitting in his shed for 30 years. The bike hasn’t moved in the 30 years and he now wants it gone. 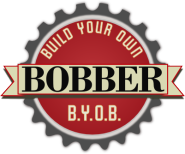 When it comes down to bikes, I don’t turn away free stuff. It’s not the polite thing to do, right? I asked a few questions about the bike. Does it run? Does it roll? Is the motor frozen? All major stuff that’s good to know. The information was sketchy at best, but I didn’t care. Okay, that’s not true. I wanted to know everything. We scheduled pick-up for the following Tuesday. I was told the bike rolls, a good sign. There were keys, a title and a service manual. Nice. Tuesday finally arrived, and so did I, with a trailer ready to load. We got the bike loaded. For his trouble, Mike—who owned the bike—received an envelope of beer tokens good for redeeming at the local watering hole. 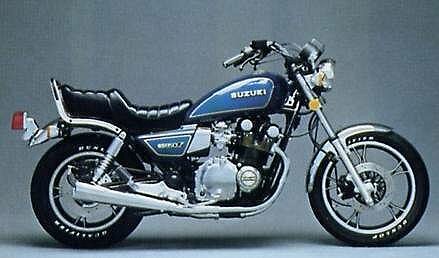 The 30-year-old Suzuki looks all of 30 years and it should. I mean it sat in a shed for three decades. The aluminum is oxidized. The steel is rusted. The chrome is pitted. The paint is faded. The rubber is dry. The brake fluid is gone. And you get the picture. But…do I have to say it? Free is free. 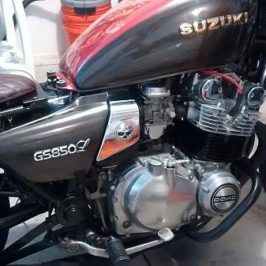 On the surface, this 1981 Suzuki GS850L is the sister bike to the 1981 Kawasaki ZN1100 LTD that’s being bobbed in my garage. The two have similar styles. 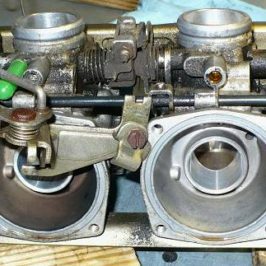 Both use four Mikuni CV carburetors and have shaft drive. Besides both motors being touted as bulletproof, I’m sure there are other similarities that I’ll observe as we get to know each other. 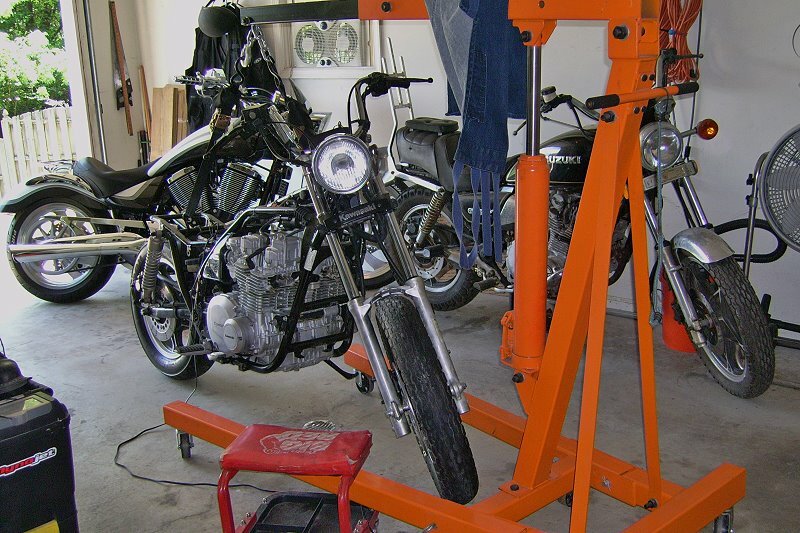 The first thing that had to happen was to clear space in the garage for another bike. Space always seems to be at a premium no matter how much room there is. After unloading the 850, it didn’t look to me like there’d be enough room for my tools and three bikes. A quick consult and a couple of hours of moving things around was enough to make the stable look like this. 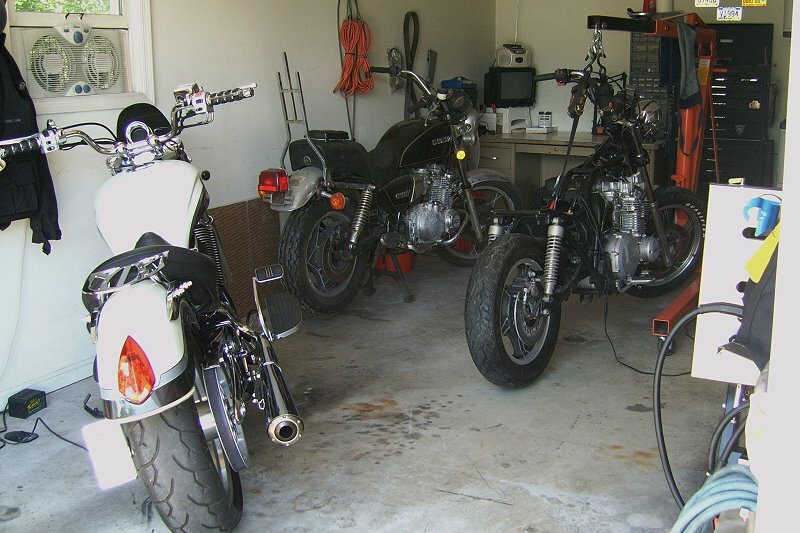 In all my born days, I never thought I’d see three bikes in my garage. No, never; but now that they’re there I have to ask myself “only three?” Yeah, I’d like to see even more bikes around…and the beat goes on. This bike was a complete mystery to me before I arranged to pick it up. 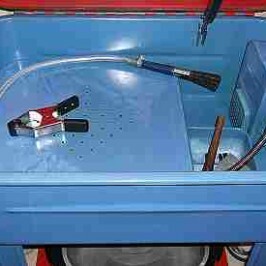 Even after bringing it home, I’ve only had time to acquire basic knowledge of what it needs to get on the road. Wait…did I say on the road? Yes, I did. The bike rolls in neutral. So the rear brakes, the drive line and the gears on the countershaft of the transmission are okay. The crankshaft bolt under the left side engine cover turned smoothly. So the crankshaft, pistons, main shaft gears and clutch are probably good to go too. Given that the internals aren’t stuck, it’s a good bet to look at this bike as a restoration or bobber for the time being. In other words, it’s not a parts bike at the moment. I don’t know enough yet to decide what to do with the 850. The ZN needs to be finished and that’s the priority. The ZN project gives me time to explore and mull it over…while looking for a fourth bike to put in the stable. The bottom line is that one can never have enough bikes.